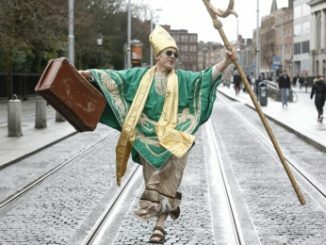 This is an exciting week for travel in Ireland. 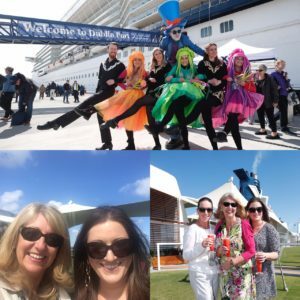 Celebrity Cruises is the first cruise line to base a ship in Dublin and take our island to an even higher level of popularity. The luxurious Eclipse will sail to Iceland taking holiday makers around Ireland in the process. 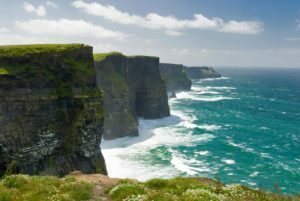 Already voted in the top ten destinations world wide Ireland is a huge draw for its natural beauty and landscape but what can a traveller to our country expect to do when they actually get here? 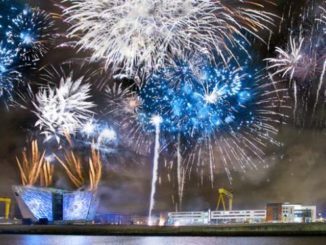 On this weeks programme we look at fun filled things to do in the South, East and West! I’ve a package for each destination that will make you want to pack up your back and book a break at home in May. There’s so much to do in beautiful Cork. 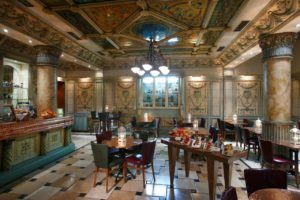 The Imperial Hotel in the heart of the city has a special offer for two nights which is plenty of time to experience all of the great local sights highlighted on today’s show. 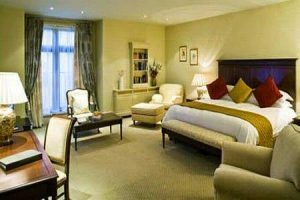 For €402 per room for two people – you can enjoy two nights bed and breakfast – one lunch and one dinner with chocolates to great you and entry into Blarney Castle – this offer runs all summer. Go to the website to find out more information http://www.flynnhotels.com. 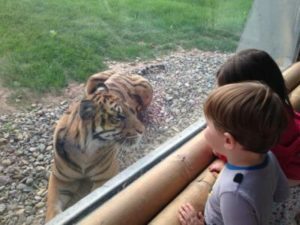 If you fancy getting in touch with nature then what better than a trip to Fota Wildlife Park. Enjoy a family breakaway and avail of all that Cork has to offer. Stay in one of our Family Bedrooms with bed & breakfast accommodation and spend the day at leisure visiting one of Corks main family attractions, Fota Wild Life Park– all from €159 per room. 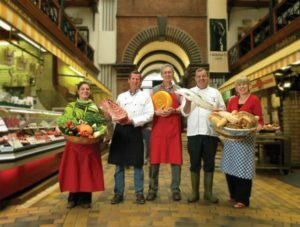 Staying in the city means that Cork’s English Market is a must visit. Hunters Yard at Mount JuliThis is very close to Dublin and anyone in the south or midlands too. 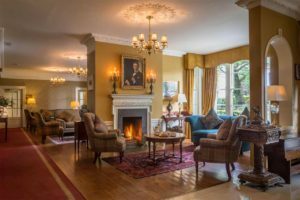 Mount Juliet estate is steeped in history and guest relations manager, Des McGrath was keen to tell me some of it. In 1757 the son of the Earl – Somerset Hamiliton Butler married the earl of shannons daughter Juliet Boyle and they built the current manor house. It has remained in the family who hailed from ballylinch which is now a stud farm across the river from the estate until 1987 when it was sold lock stock and barrell. The Georgian manor house maintains its stature as one of Irelands finest country homes. 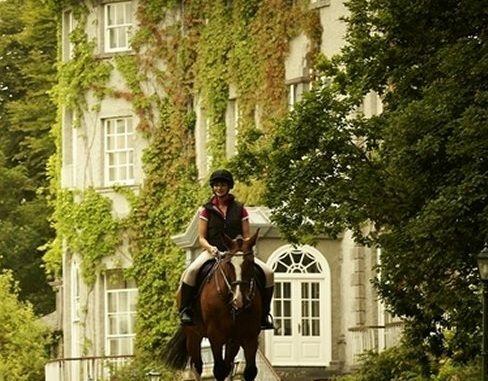 Mount Juliet Country Estate is a stunning walled estate covering 1,500 acres of sprawling countryside in Co. Kilkenny. 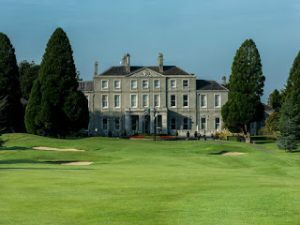 Famed for the welcome and exceptional service every guest receives, Mount Juliet is 20 minutes from the historical city of Kilkenny and just over one hour from Dublin. 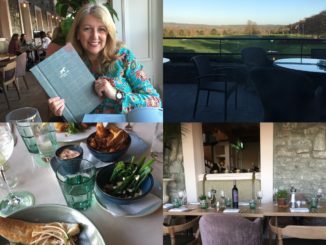 Enjoy everything the estate has to offer including golf on the world famous Jack Nicklaus designed course, dinner in the Michelin Star Lady Helen restaurant, a treatment in the luxury spa, river and lake fishing, equestrian centre with guided trails and lessons, woodland walks, bike rides and much more. Today, this elegantly transformed courtyard, just five minutes’ walk from the Manor House, is home to the bright and spacious rooms of the new hotel at Mount Juliet Estate, Hunter’s Yard, and the relaxed and inviting dining option of The Hound at Hunter’s Yard. 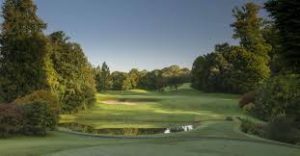 A tranquil hideaway adjacent to the Jack Nicklaus-designed golf course and only a few paces from the treatment rooms of Mount Juliet Spa and the swimming pool. 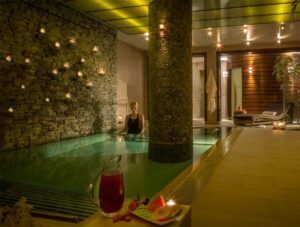 The Treat Yourself package includes a one-night stay in Hunter’s Yard, breakfast served in The Hound at Hunter’s Yard, a 55 minute spa treatment each, and costs from €259 per room per night. 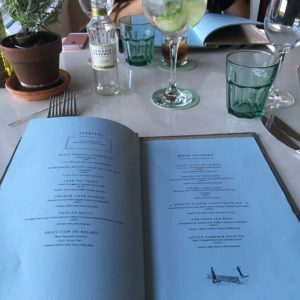 The restaurant The Hound is overlooking the Rolex clock on the golf course and is a real treat. Specially designed as a more casual stay, The Treat Yourself package is available at Hunter’s Yard, a fresh take on Mount Juliet’s rich heritage, and a natural extension of the estate’s genuine and memorable hospitality. See the Wild Atlantic Way from another perspective this summer – from a stand up paddleboard! This summer, see the Wild Atlantic Way from another perspective entirely, with Bed & Board at Knockranny House Hotel. 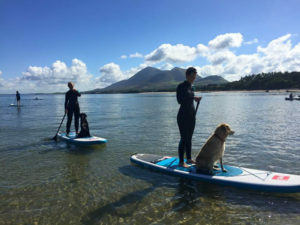 Enjoy two nights bed and breakfast in the cosy and welcoming surrounds of Knockranny with dinner on one night created by multi award-winning chef Seamus Commons, and the added excitement of an SUP session out on the water at Old Head beach in Westport with paddleboard experts, Summer SUP School. Stand up paddleboarding (SUP) is one of the world’s fastest growing and most enjoyable sports, and an amazing way to explore the Irish coastline while also getting fit. A cross between surfing and kayaking, stand up paddleboarding tests your balance as you stand up straight on a large surf board and use your paddle, dipping into the water to propel yourself ahead, generate speed, change direction, or just gently mosey along and enjoy the ride, and the scenery. 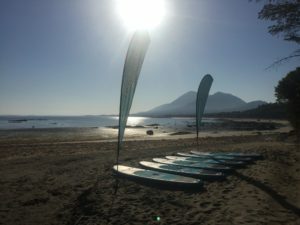 Summer SUP School is based on the Wild Atlantic Way, open between the months of May to September from sunrise to sunset, with only the best quality equipment and instructors. Muirtí Ó Cearnaigh, the owner of Summer SUP, has been working in adventure activities and water sports for over 18 years and has a multitude of qualifications, as well as owning Atlantic Coast Lifeguards – Ireland’s top lifeguard training school – so you’ll be in the best possible hands. 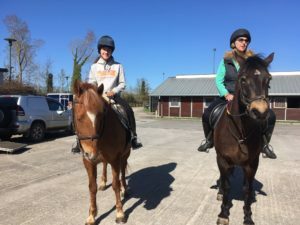 After a fun session to learn the basic skills to get you up on the board, out on the water and paddling, Knockranny House Hotel is a cosy and luxurious setting to return to after a day’s adventures. 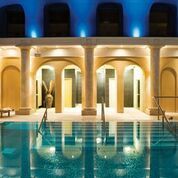 The lovely pool, sauna and steam room in the gorgeous Spa Salveo at Knockranny is something to particularly look forward to in the evening, to work any soreness or tightness out of muscles you never knew you had! 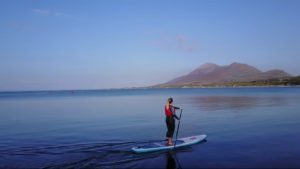 Improve your balance, coordination, endurance and circulation while unwinding and de-stressing in the fresh sea air and see the Wild Atlantic Way from a different point of view with Knockranny House Hotel’s Bed & Board stand up paddleboarding offer. Two nights bed & breakfast, one dinner and an SUP session is available from €248 per person sharing at weekends from May to September, or midweek in May from €178 per person sharing, and from June to September midweek from €190 per person sharing. The Step House Hotel is on the Main Street in Borris, bringing together a lovely old Georgian house, a pub which has been in the family for 5 generations, and some chic contemporary additions to create a cosy and elegant boutique hotel full of character, and a continuing story of a family enterprise, undertaken with enthusiasm and passion. 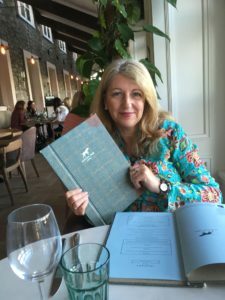 Located just a stones throw from the River Barrow and overlooking Mount Leinster, The Step House Hotel have a gorgeous summer escape on offer which includes an overnight stay in one of their guest bedrooms, breakfast and a three course dinner for two people in 1808 Bar. Brilliant head chef Alan Foley, who has won multiple awards for his talent, and formerly of Peacock Alley, Sheen Falls Lodge and Chapter One, thinks, talks and breathes food and has a philosophy of using the best local ingredients, organic where possible, in his classical and sophisticated cooking, so great food is at the heart of any stay in The Step House Hotel. Also included in their ‘Summer by the Barrow’ package is a Picnic Basket for you to enjoy by the river and a tour of Walsh Whiskey Distillery, Royal Oak where you can experience the ancient craft of distilling in a fully guided, multi-sensory tour of one of Ireland’s largest operational whiskey distilleries. See first-hand how all three styles of Irish whiskey – Pot Still, Malt and Grain – are created under one roof. Afterwards relax and savour a taste of the award-winning whiskeys before strolling around the historic Royal Oak estate, taking in Holloden House (1755) and the beautiful scenery that makes Royal Oak the perfect place to craft exceptional whiskeys. 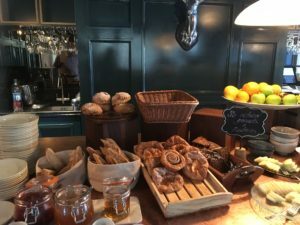 Owned and run by the Coady family, The Step House Hotel is a warm and welcoming hotel, with fantastic food, gorgeous gardens and beautiful interiors set in a picturesque rural village. Their ‘Summer by the Barrow’ package costs from €110 per person sharing and includes 1 night bed and breakfast, an evening meal, a packed picnic and a tour of the Walsh Whiskey Distillery. There are few things sweeter in life than a few days away in the beautiful countryside with a certain special someone. For most, the hustle and bustle of everyday life leaves little time for enjoying the simple things in life, make a change this summer embrace and the great outdoors from the picturesque haven of Faithlegg in Co. Waterford. The hotel’s central location makes it the ideal base to discover the coastal county’s hidden gems. The close-by seaside villages of Tramore and Dunmore East are stunning examples of the magnificent Waterford coastline. Make the most of the long summer days and explore the ancient east through the Waterford Greenway a spectacular 46km off-road cycling trail along an old railway line between Waterford and Dungarvan. Take in the stunning scenery with the wind in your air, arrive to Dungarven, the pretty coastal village where there is plenty to see and do and there are opportunities to take part in water based activities such as surfing or fishing, or simply to walk on the pier and breathe in the freshest of sea air. Suitably refreshed it’s back on the bikes with a romantic and restful evening in Faithlegg to look forward too. After a day of activity give your weary legs a rest, slip down to the Faithlegg Treatment Suites for a treatment, a dip in the Jacuzzi or retreat to a cosy armchair in the Aylward Lounge. 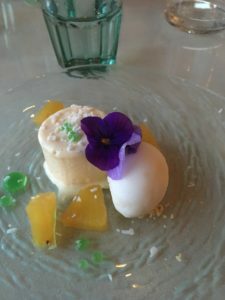 That evening savour a delicious evening meal in the award-winning 2AA Roseville Rooms Restaurant prepared by head chef Jenny Flynn using the finest of local ingredients from local producers you may have passed on your cycle! Tired after the big day, retire to one of the newly refurbished guest rooms that combine traditional manor house character with stylish modern designs for a restful night’s sleep. Give yourself a break for the norm this Summer, leave your mobile phone and iPad at home, and head for Faithlegg, situated amongst the luscious green countryside of Co. Waterford at the top of a pretty meandering road where you’ll experience the ultimate in luxury accommodation, delicious cuisine, a tranquil spa, award winning golf course, stunning woodland surrounds and central location making it the perfect destination for a romantic getaway. 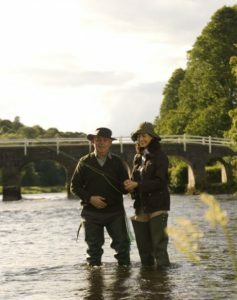 Ideal for a mini-moon or romantic getaway, the Get and Go Greenway package at Faithlegg House Hotel is available from €160 per person sharing and includes a two-night stay in luxurious accommodation, breakfast on both mornings and dinner on the night of your choice in the award-winning Roseville Rooms Restaurant. To book, call 051 382000 or visit www.faithlegg.com. Prior booking is essential. Enjoy an overnight with bed & breakfast & evening dinner plus the added bonus of a day trip from Hotel to Inisheer, one of the Aran Islands. Pick up from hotel at 9.30am to Doolin Pier with sailing at 11am to the picturesque island, boat journey approx. 20 minutes. Depart island at 1.45pm and sail under the Cliffs of Moher. Arrive back in Doolin Pier at 1.45pm and enjoy Doolin village. Bus departs Doolin at 4pm and visit Cliffs of Moher Visitor Centre. Depart for journey to hotel at 5.30pm. Children under 5 are complimentary for day trip. Children 5 to 12 years are at an additional cost of €25 for day trip. Adults day trip cost is included in package offer.